Oil and oily substances get spilled on your cement driveway or garage floor during routine vehicle maintenance or from auto leaks. An oil stain on cement or concrete needs to be absorbed for best cleaning results. If the oil spill is fresh, soaking up the excess oil right away and cleaning the spot with a grease fighting soap immediately will work best. 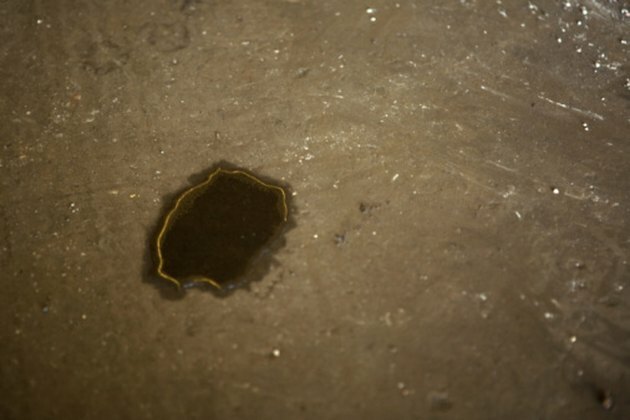 If the oil stain has been there for some time, try using cat litter to absorb the oil from the cement. Remove oily substances from cement driveways and patios. Use paper towels to soak up as much of the oil substance as possible. Cover the oil spot with a layer of cat litter. Sweep the cat litter off of the oil spot after 24 hours. If the spot has not been totally absorbed, reapply and let sit another 24 hours. Dispose of the cat litter. Clean the area with a grease-dissolving dish soap like Dawn and water. Use a scrub brush to thoroughly clean the affected and surrounding area and rinse.